"Contentment In Everyday Life" - A weekday class! Contentment can be hard to find. Much of the time we search for contentment in things, achievements or relationships. 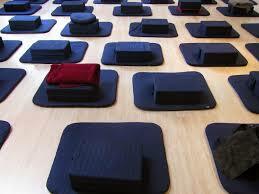 With meditation practice, we relax with ourselves and appreciate simple human experiences. Difficult emotions and the challenges of life can be met with gentleness, mindfulness and inquisitiveness. This five-week Everyday Life series in The Way of Shambhala continues the path of meditation experience through cultivation of contentment and simplicity. We explore the foundation views of the Hinayana Buddhist teachings and meditation in action for daily life. Through understanding the conditions and emotions that keep us trapped in habitual patterns, we can begin to express the qualities of the Tiger: gentleness, appreciation and steadiness. Please note that this program is being offered during the morning (as opposed to the usual evening hours).